According to many animal advocates, this year had the highest impact for animals, ever. 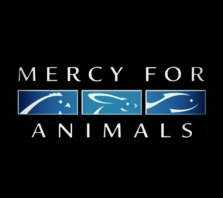 And animal advocacy has had a long history from the early teachings of Buddha and nonviolence to Saint Francis’ doctrines of kindness to all living creatures to current times where the United States alone now counts more than 20,00 animal protection groups. In today’s post, we will note several animal conservation success stories of consequence. However this list is just a small sampling of the dozens of other successful animal rights campaigns that were initiated in 2015. The wrongs perpetrated by NFL quarterback Michael Vick were addressed by imprisoning the perpetrator and rehabilitating his abused dogs. Yes, these dogs that incurred such brutality were not only saved, but have been placed in new homes or are in the process of being adopted. Their stories can be found in a new documentary released this titled, ’The Champions’ which premiered at the Hamptons International Film festival. More of their story here. While circuses still exist in the 21st Century, fortunately there is one animal that will soon be eliminated from the Greatest Show on Earth’s illustrious cast. The elephant, a long-standing symbol of this particular circus for more than 144 years will in a few short years, no longer be featured in a starring role. Executives from Feld Entertainment, Ringling's parent company, said in a release that the 13 elephants currently traveling with its circus units will be retired in 2018. At that point in time, they will join the 40 currently under care at the 200-acre Ringling Bros. Center for Elephant Conservation in Florida. More of their story here. Cecil, the lionSince the death of Cecil the lion in early July, over forty airlines have announced or reaffirmed bans on wildlife trophy shipments on their carriers. American Airlines, Delta, Hawaiian Airlines, Jet Blue, United and Virgin are just a few of the carriers that have banned shipments of lion, leopard, elephant, rhinoceros and Cape buffalo trophies. In addition to the airline announcements, several legislators have introduced bills to restrict wildlife trophy imports. U.S. Sen. Robert Menendez, D-NJ, has introduced a bill to ban all imports of trophies and parts from African lions and other at-risk species. Reps. Sheila Jackson Lee, D-TX, and Eddie Bernice Johnson, D-TX, plan to sponsor a bill to amend the Endangered Species Act to ban “all acts of senseless and perilous trophy killings.” Lawmakers in New York and New Jersey have introduced bills to restrict intrastate sales and transportation of animal trophies. More here. The National Institutes of Health (NIH) announced it has scuttled plans to maintain a colony of 50 chimpanzees for research — reversing a decision the agency made two years back. At that time, the research agency said it would end all invasive chimp experiments, but maintain 50 chimps in an “ethologically appropriate” environment in the event they were needed for research in the future. These announcements come in the wake of enhanced federal protections under the Endangered Species Act for captive chimpanzees. Advocacy groups petitioned successfully for this change, and as a result any private laboratory that wishes to use chimpanzees in harmful or invasive research must obtain a permit from the U.S. More here. President Xi & ObamaPresident Obama and President Xi Jinping of China announced a detailed and shared commitment to end the global trade in ivory. President Xi noted his country would match the U.S.’s commitment to stop any commercial trade in ivory, in a compassionate announcement that dramatically supports a prior statement on the subject from a senior Chinese leader. This partnership of the two largest ivory-consuming countries is a watershed moment for the efforts to stop commercial trade in ivory, and it is the first time that a U.S. President and a Chinese President have made a dedicated pledge about saving wildlife, elevating the wildlife trafficking crisis into the diplomatic discourse among the world’s most important global political leaders. More here. On November 9, 2015, after relentless pressure from an increasing amount of activists from all walks of life, SeaWorld announced that they are planning to shut down their theatrical killer whale shows in their San Diego park by the end of 2016. While this is not the ultimate victory that animal rights activists were seeking, it's still nonetheless, a real game changer. Companies such as SeaWorld are reliant on public opinion to remain successful, and thanks to the hard work and dedication of all the people who have protested against their cruel treatment of animals, they are being forced to completely rethink how they conduct business. More here. Why was 2015 the year of animal advocacy? While animal advocacy as a movement has attracted more and more concerned citizens over the course of the last decade, one of the reasons it's received greater attention this year might be due to Pope Francis. Taking his name from St. Francis of Assisi gave the world an early indication that he would be literally and figuratively following in the footsteps of a saint who was canonized for his devotion to all living life. 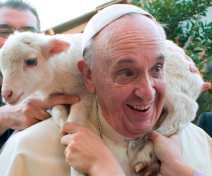 Hopefully, by emulating the Pope's example, 2016 will be another watershed year for animal rights — as I for one, will be waiting eagerly to be able to write another round-up story like this one about future strides forward in animal advocacy. Monkeying Around! The Animal Video Of The Day!! !